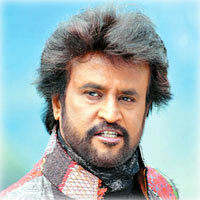 If anything, other than the shoots, is keeping Rajini busy on the sets of Endhiran, it’s Revathy Sankaran. The noted humorist and TV show host is actually keeping the superstar engaged with her wit and humor during the Endhiran shoot breaks. Before we forget, she is playing Rajini’s mother in the Shankar directed animation extravaganza. Revathy is famous for her humorous speeches and tongue in cheek references during TV shows. She has also had a brief stint in cinema attempting her hand at comedy before making a comeback of sorts with Endhiran.